It looks creepy! 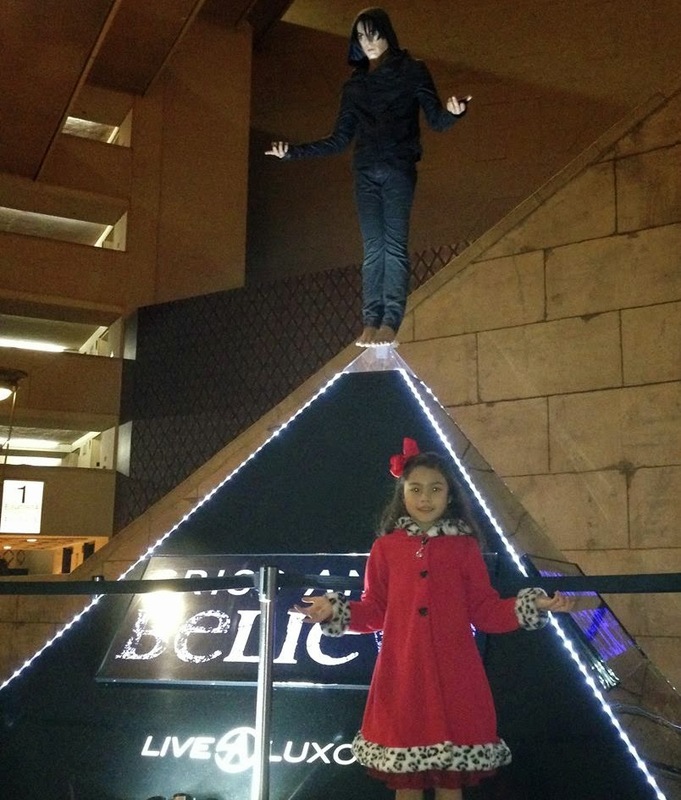 No wonder Luxor management placed this statue in the corner...lol! 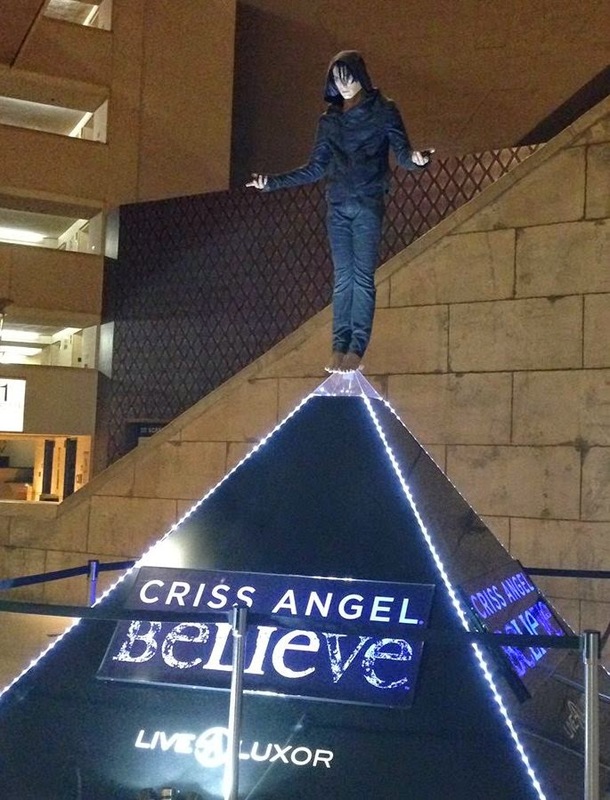 This life size silicon sculpture of Criss Angel levitating above a 10ft Pyramid used to be in the lobby of the Luxor to help promote the Criss Angel BeLIEve show. Guests can barely see it now, well not unless if they go to the restroom...lol! I honestly would not recommend his magic show. It was a joke and a waste of $$$!